It was our absolute pleasure to be part of such a beautiful wedding! Our biggest congratulations to Hemmy and Charles for saying “I do” in style, with a lovely ceremony and reception at The Willows, Melbourne. We wish Hemmy and Charles all the best for a bright future and thank them for trusting JC Jags with their wedding car hire Melbourne! Hemmy and Charles chose our Jaguar MK5 sedan, which upon release was one of the finest cars of its class in the world. The style of the Jaguar Mark Five has made it one of Australia’s most popular vehicles for wedding car hire Melbourne. It has a vintage look even though it is a much newer car! With its elegant, flowing lines and classically upholstered interior, this stunning Jaguar MK5 is a favourite for many couples for their wedding car hire Melbourne. The Jaguar Mk-V sedan seats 4 passengers, with deep seats to accommodate all passengers with loads of comfort and leg room – perfect for space-hungry gowns! 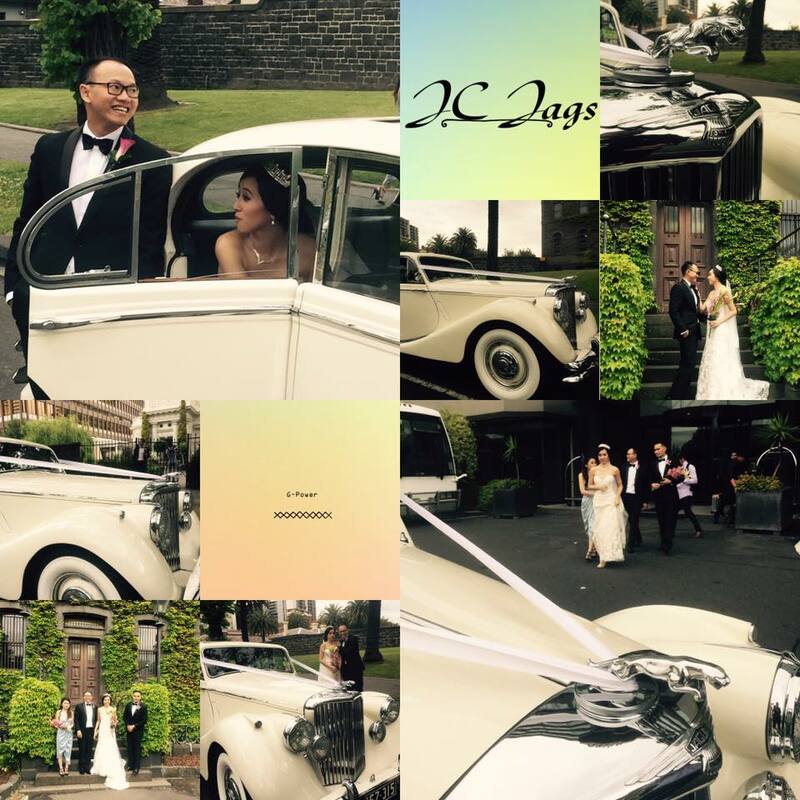 Contact us and see how one of our stunning cars can bring that extra touch of vintage glamour to your day!